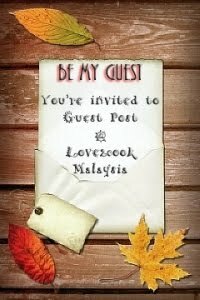 Delighted to announce that Love2cook Malaysia has moved from her blogspot.com to own domain. Please update me in your blogroll. 2nd psst...It's already 2 weeks now since a wire inserted into my crooked finger. Another 4 weeks to go. The wire will be removed around end of Feb only. Congrats dear on moving to your own domain. Take care of your finger. Congrats on your own domain. Congrats love on your new own domain! !..Oops sorry to hear about your finger..akak baru tahu..do take care dear.. So as for the new domain ..will update in my bloglist once its ready ya..just prom me ok..
Toutes mes félicitations. Je vais m'occuper du changement sur mon blog roll. Congratulations on the new domain. 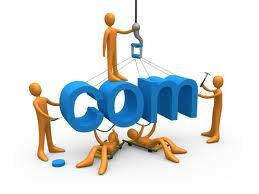 Congrats on your own and new domain Love....! I'm happy for you...mesti lg meletopsss nnt yaaa...Hope your finger will getting better and better dear! Muaahhss! take care ..wish you a speedy recovery of your finger..
congrats, love. super duper maju! sori dah lama tak datang menjenguk ke sini. what happened with ur finger? apa2 moga cepat sembuh. take care ya! How are you ter?. Thaipoosam pics all arre looks nice. Hope you enjoyed the great day with ur hubby. Thanks for remembering me dear, am busy with my little one he is now one year old keeping me busy all the time. My Hubby love gadgets very much, we were using 60D now he bought his new canon EOS 5D mark ii. It is such a great gadget, very nice n pristine pictures.Soon, I will come to blogworld dear catch you soon. Take Care of you ter.